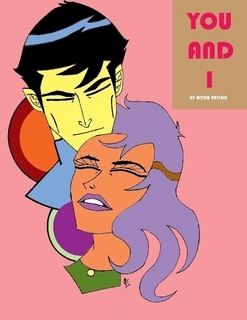 Alton Taylor - "Growing Literature, One Rose At A Time"
is a self-employed cartoonist/illustrator/author and has Bruce Timm and as well as Darwyn Cooke to thank for his influences. 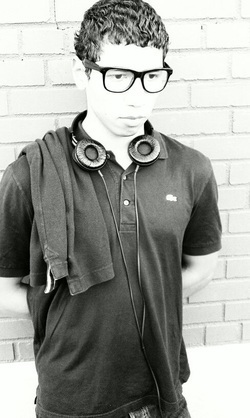 During his time spent at Queensborough Community College in Bayside, New York as a Fine & Performing Arts major, it was there where he met Founder/Publisher/Author of Flowered Concrete, Kevin Anglade (Kevin Eleven) who discovered Alton's works on his website and later asked him to be apart of the small publishing press. 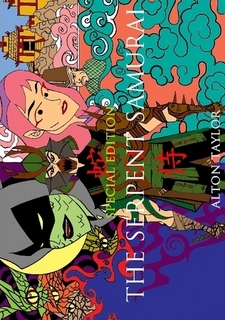 Through Flowered Concrete and with Anglade's help, Taylor has published two books, his first called, The Serpent Samurai, a short book about a fallen warrior in medieval Japan and also a book by the name of You & I which is a ten page art book filled with illustrations of romance as well as poetic lines that pertain to love. Recently, as of October 2014, Taylor published his first sketchbook through his own drawing freelance art company called drawing realm presents: GENESIS. Along with his good friend and colleague, Kevin Anglade, the artist also featured on NBC's final season of The Debrief with David Ushery in May of 2014. As an artist, he one day dreams of meeting and working with his two influences stated above and also doing a CD cover design for his favorite noise-rock/indie electronica band called, HEALTH. The author/illustrator is now currently working on his third book and first actual full-length due for publication early 2016.